The ultimate in reach, speed and performance for dual SLR formats. The ulitmate-performing lightweight, fast zoom. 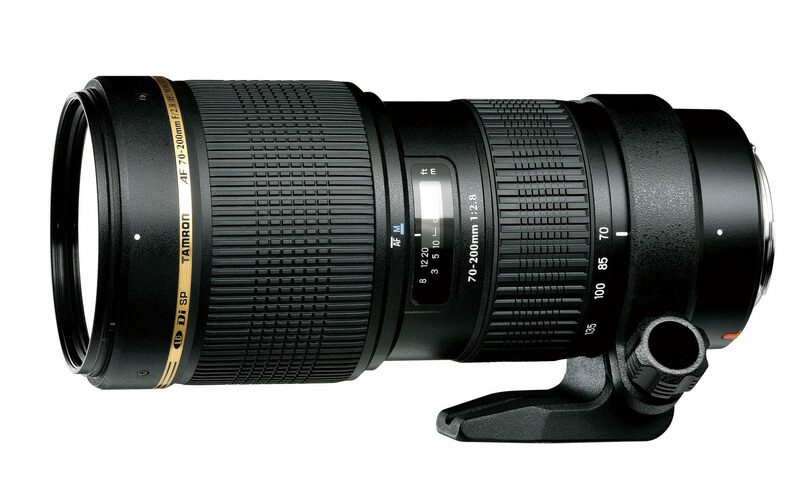 While overall dimensions are confined to the absolute minimum, the SP AF70-200mm F/2.8 Di LD (IF) MACRO zoom lens is packed with features that allow stress-free photography: a versatile minimum focus distance (MFD) of just 95cm over the entire zoom range; best-in-class maximum macro magnification ratio of 1:3.1 at f=200mm; an advantageous internal focusing (IF) system and, of course, the fast maximum aperture of f/2.8. The new tele-zoom lens covers a desirable focal length range of 70mm medium telephoto to 200mm telephoto when mounted on full-size format SLR cameras and a focal length range from 109mm to 310mm* ultra telephoto when mounted on a DSLR camera with an APS-C sized imaging sensor. This line of ultra-high-performance lenses is designed and manufactured to the exacting specifications demanded by professionals and others who require the highest possible image quality. The foremost priority is achieving superior performance parameters – high design standards take priority over cost constraints. As a result, Tamron SP lenses feature innovative designs that have established an enviable reputation for excellence amongst demanding photographers. Tamron’s Integrated Focus Cam is a precision mechanical component that optimises the co-ordinated movement of the Internal Focusing (IF) system with the Multiple Cam Zoom Mechanism. This ingenious mechanism ensures accurate and seamless positioning of all the internal elements within the lens and coordinates them with the external zoom and focus controls. Chromatic aberration occurs when a lens element refracts different wavelengths of a ray of light – its rainbow colours – at very slightly different angles. This results in the ‘colour fringing’ that reduces the sharpness of an image. LD elements are made from special glass materials with extremely low dispersion indices (i.e. the refraction of a ray of light into rainbow colours is extremely narrow). Thus they effectively compensate for chromatic aberration at the centre of the field (on axis), a particular problem at long focal lengths (the telephoto end of the zoom range), and for lateral chromatic aberration (toward the edges of the field) that often occurs at short (wideangle) focal lengths. Although costly, LD glass materials result in clear, vivid image quality. *Values given are for Nikon mount.